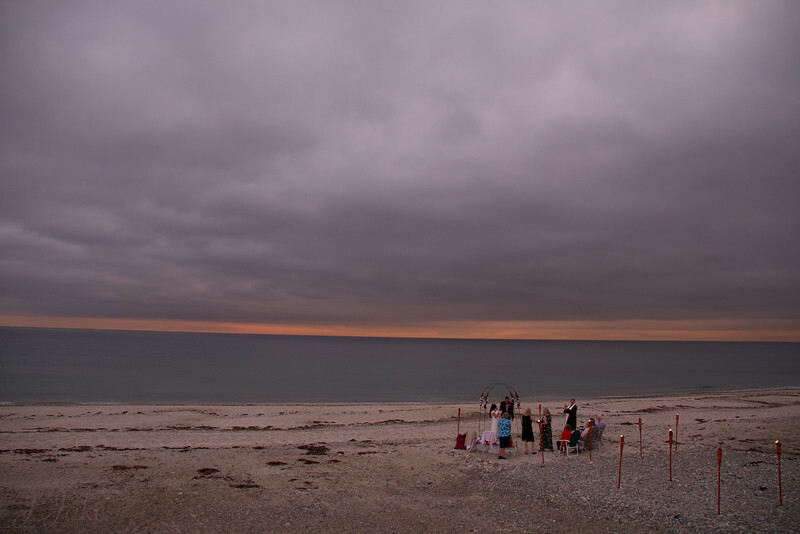 The vastness of the ocean parallels a young couple's expansive possibilities, starting a life together, on a New England beach. The bride was not nervous with her stormy wedding day. She was seen smiling and giggling. Her unfeigned relief had come the day before when her groom arrived from Iowa. The affectionate weather pushed in from the northwest and drove the dreadful weather southeast. As the bride walked down the beach stairs to be greeted by her small and loving party, the loving atmosphere had persevered to blossom into a glorious late afternoon, resulting in a beautiful ceremony as they began a life together.